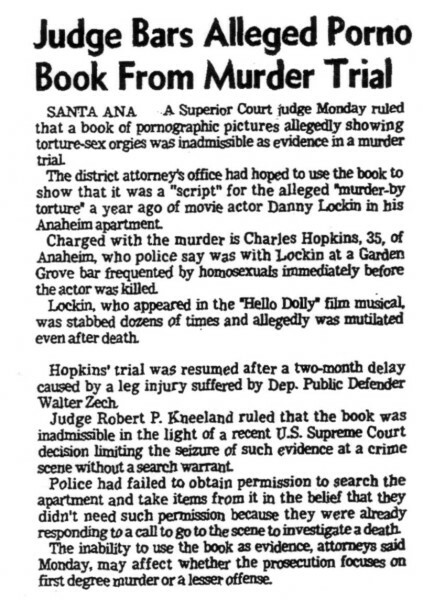 I looked up Danny Lockin in wiki and at the end it reads that Hopkins had lung cancer but died of a heart attack. Thank you for this site, its a warm and great tribute to Danny Lockin. Hello, Dolly! is one of my favourite films and Danny was adorable in it as Barnaby Tucker. I am truly sorry that he ended in this tragic and senseless way. Will you please tell me what become fo that murdering piece of trash after he was released from prison, I can't find any information about him on the internet. Thank you very much.